At Hastings Radiology, we provide the highest level of medical imaging services to central Nebraska and north central Kansas using leading-edge technology and the highest level of imaging expertise. We are always changing and adapting to new imaging technology, but our core values will never change. For more than 60 years, Hastings Radiology has been associated with quality, professionalism, and compassion. 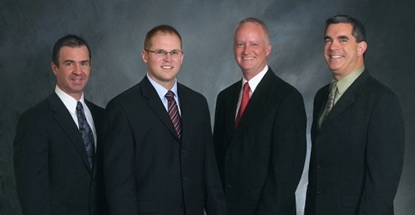 At Hastings Radiology, we provide the highest level of medical imaging services to central Nebraska and north central Kansas using leading-edge technology and the highest level of imaging expertise. Our reputation for clinical excellence is the result of our scope of services, our prompt turnaround time, the knowledge and skill of our affiliated hospitals and clinics, and compassionate care for patients. For more than 60 years, Hastings Radiology has been associated with quality, professionalism, and compassion. We are always changing and adapting to new imaging technology, but our core values will never change. Provide imaging interpretation and expertise; collaborate with other healthcare providers and entities in a professional manner; and focus on patients with care and compassion. Maintain expertise on all and upcoming imaging technologies; focus on prompt service to patients and healthcare providers; and provide radiation safety and protection. Current estimates say that one in eight women will experience breast cancer during their lifetime. Mammography is the best test available for finding small breast cancers. Includes bone scans, PET scans, cardiac stress tests, kidney scans, ventilation and perfusion scans, and gastric emptying exams. Includes pain management, image guided biopsy, abscess drainage, throacentesis, paracentesis, IVC filter placement, nephrostomy tubes, ureter stents, lumbar punctures, and myelograms. Bone Densitometry (dual-energy-x-ray-absorptiometry or DEXA) is considered to be "The Gold Standard" for diagnosing osteoporosis or bone loss. Mammography is a specific type of imaging that uses a low-dose x-ray system for examination of the breasts. Most medical experts agree that successful treatment of breast cancer is linked to early diagnosis. Breast tomosynthesis, also called three-dimensional (3-D) mammography and digital breast tomosynthesis (DBT), is an advanced form of breast imaging where multiple images of the breast from different angles are captured and reconstructed ("synthesized") into a three-dimensional image set. 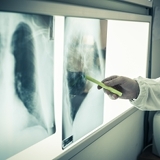 An x-ray is the oldest and most commonly used form of medical testing. It is a painless and quick test for the patient to endure. Hastings Radiology Associates features the most comprehensive dedicated Women's Imaging center in the region. Hastings Radiology Associates has a long history of service to hospitals, clinics, and imaging centers via remote teleradiology. Ultrasound is a non-invasive imaging modality based on transmitting ultra-high frequency sound waves into the body and then receiving the returning echoes. 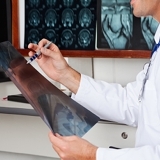 Magnetic resonance imaging (MRI) is one of the safest, most comfortable imaging techniques available. MRI uses a magnetic field instead of radiation to obtain images of the body.